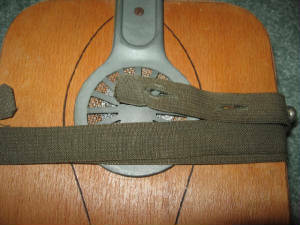 Another AUER made Gasjäckchen but on this variation the air hose inlet hose barb and VM air filter screw connection is on the wearer's back and not front mounted as in the first gasjäckchen shown . Notice the original instruction manual shows this change in design . 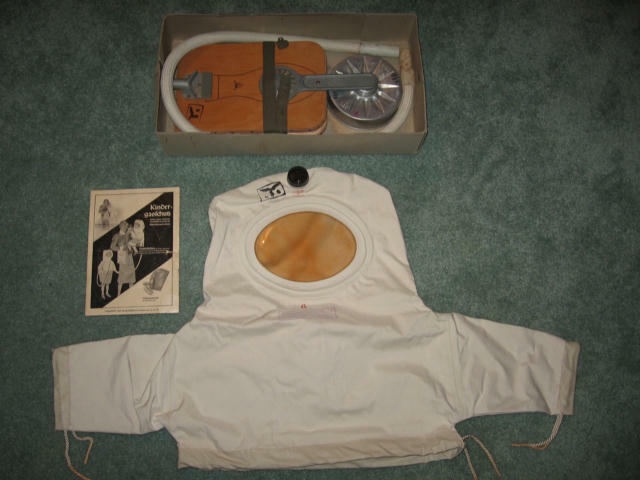 The function of this gas protection suit is the same but mounting location is different . 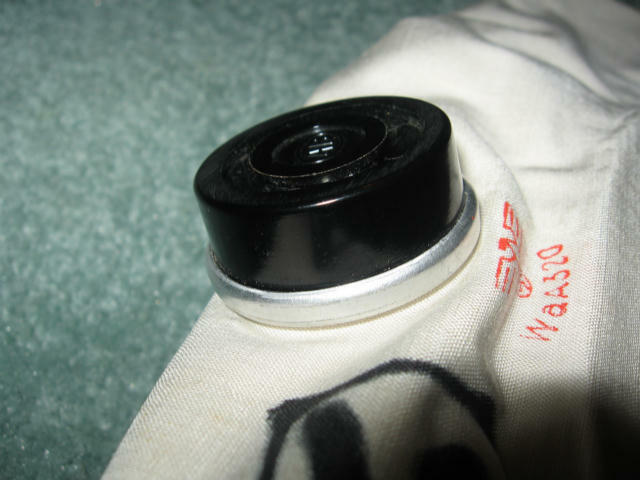 There are also variations such as the rubber connection on the ends of the wire reinforced air hose is made from white rubber and not black . 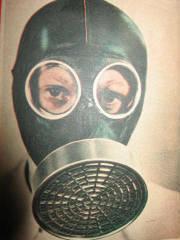 Also another variation is the design of the black bakelite plastic air release valve on top of the head , function is the same just different shape . 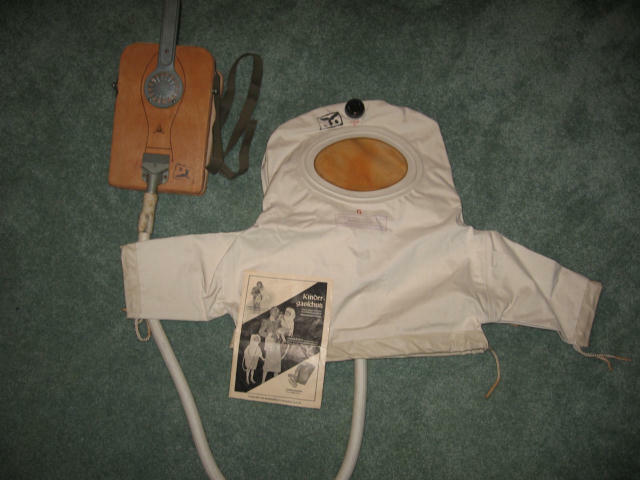 Gas jacket set up with air foot pump and wire reinforced hose and instruction manual . 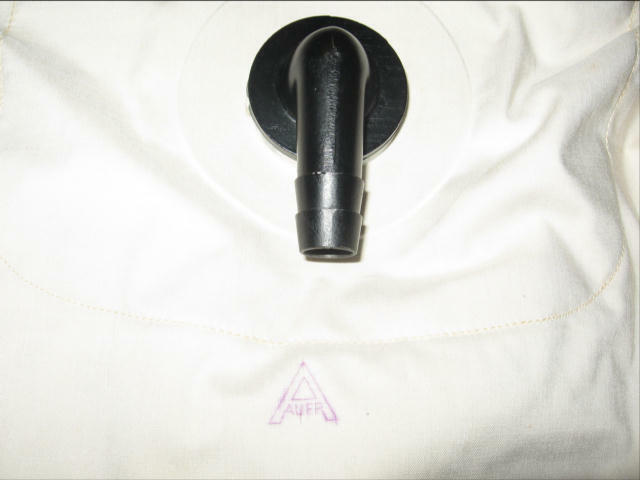 Rear of Gas jacket showing black plastic air hose barb with AUER logo stamp below it . 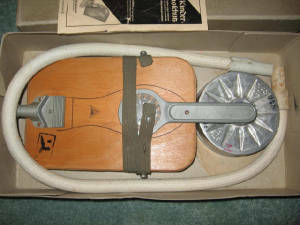 Original carboard box , foot pump with cloth carry strap , VM air filter,instruction sheet and hose. 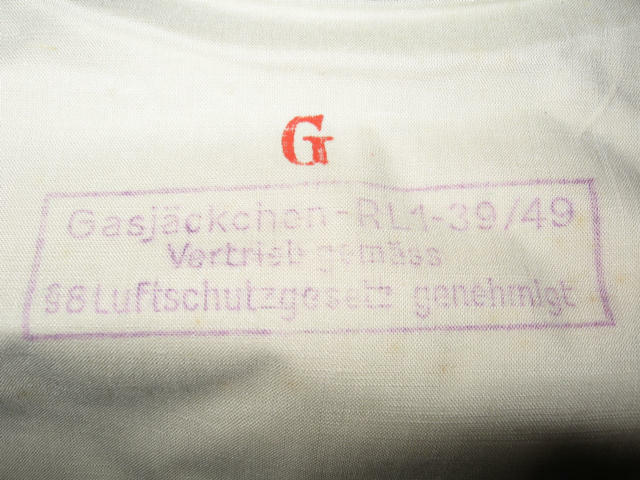 Red G stamp for gas device and RB stamp showing item is for luftschutz resale . 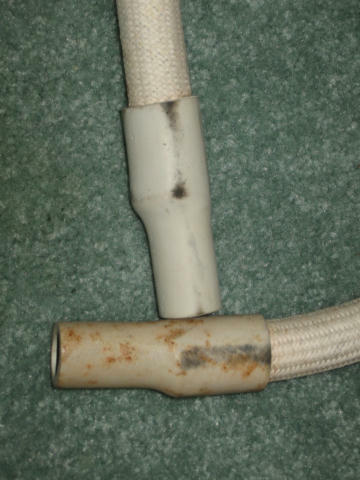 Hose barb is made from a cast metal painted black . Note the Auer ink stamp below barb . 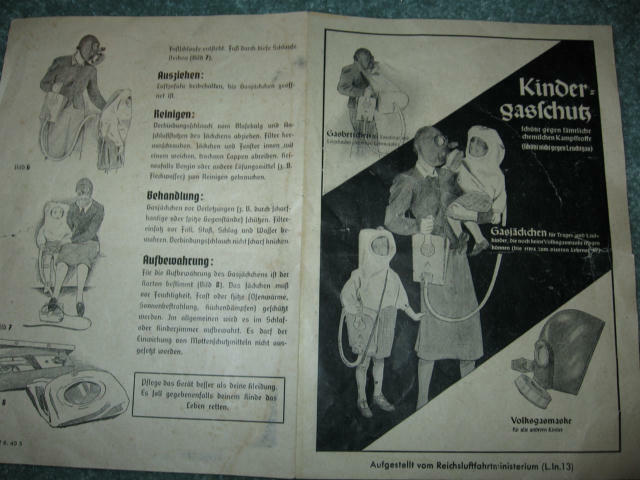 Auer Instruction sheet , notice that the air hose connection is shown on the rear of the jacket ! 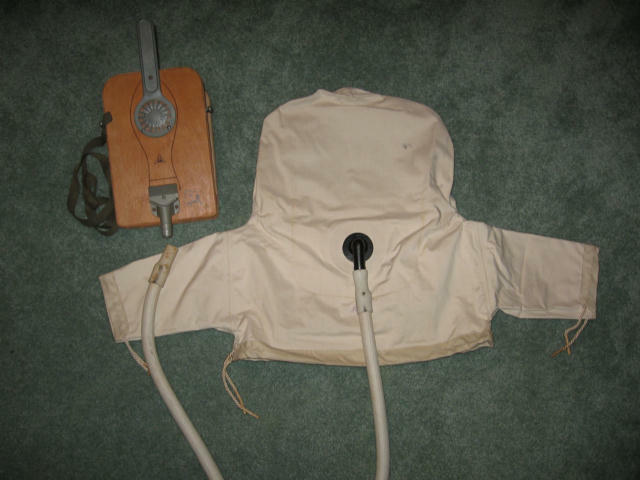 FOOT OPERATED AIR PUMP . 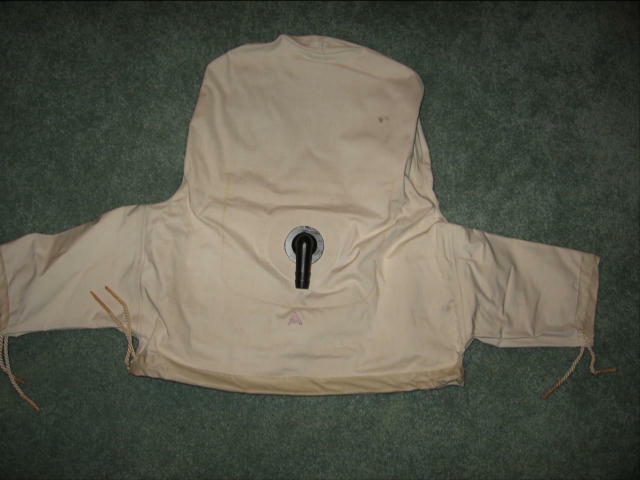 This is the same foot pump that is used for the gas bed . 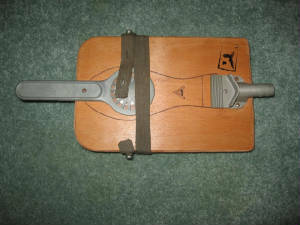 This is a foot operated air bellows . 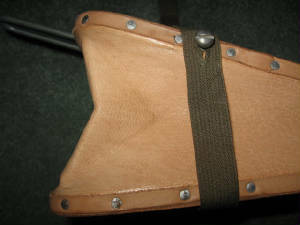 Side view of foot pump showing real leather side wall, can also be a brown synthetic material also.